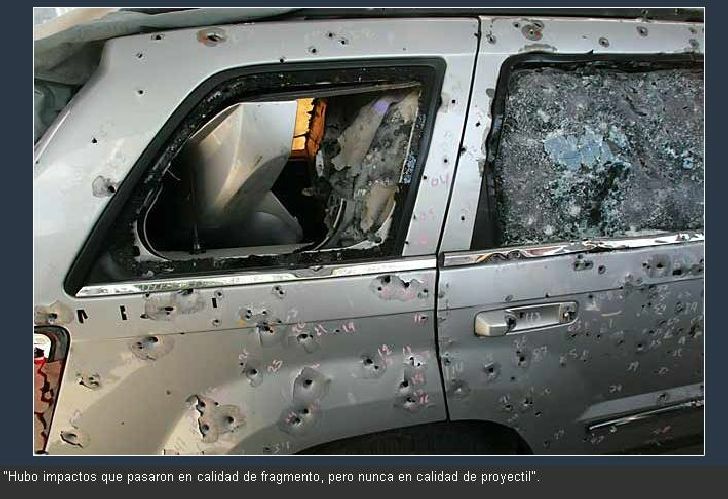 You Don't Have to be a Good Shot w/This Many Rounds! 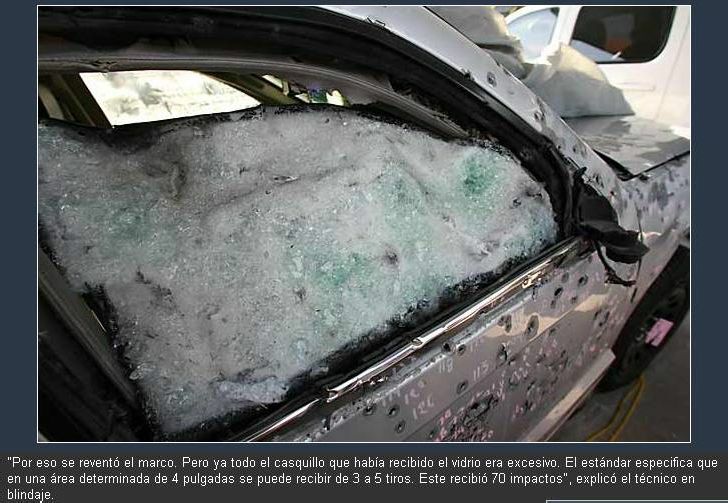 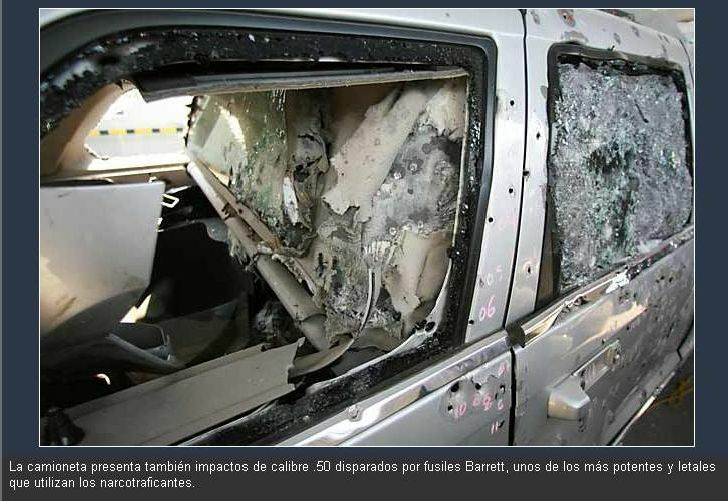 - The Jeep received 350 impacts from AK-47, AR-15, 40mm RPG, and .50 Barret. 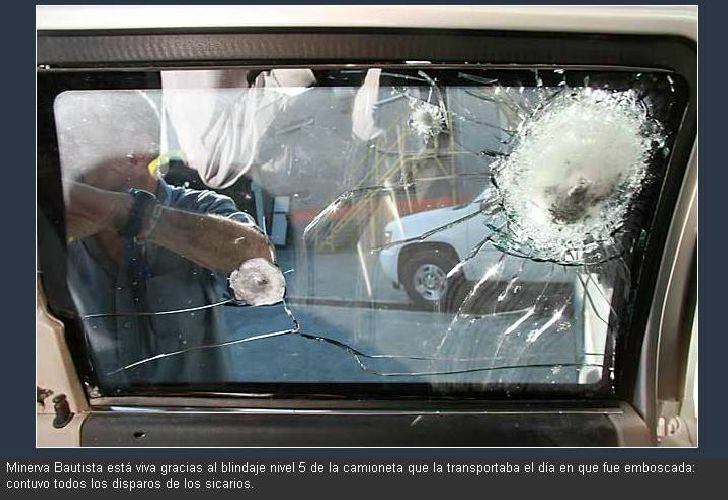 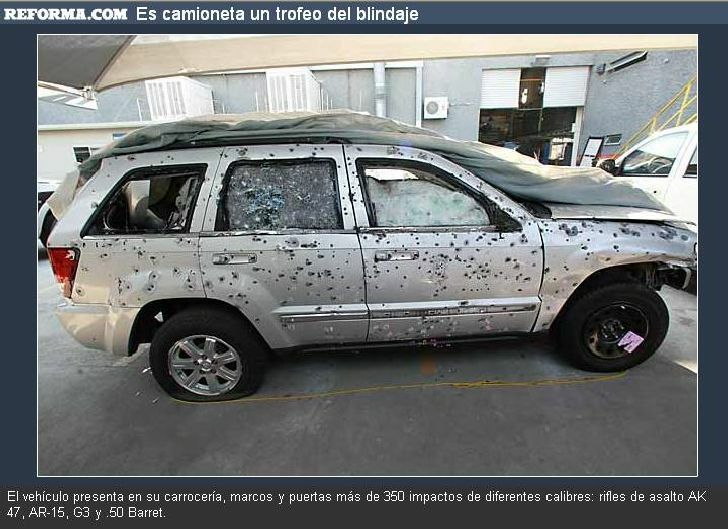 On 24 April, 2010, this Jeep Grand Cherokee was used to transport Minerva Bautista, head of the Secretaria de Seguridad of Michoacan, Mexico. 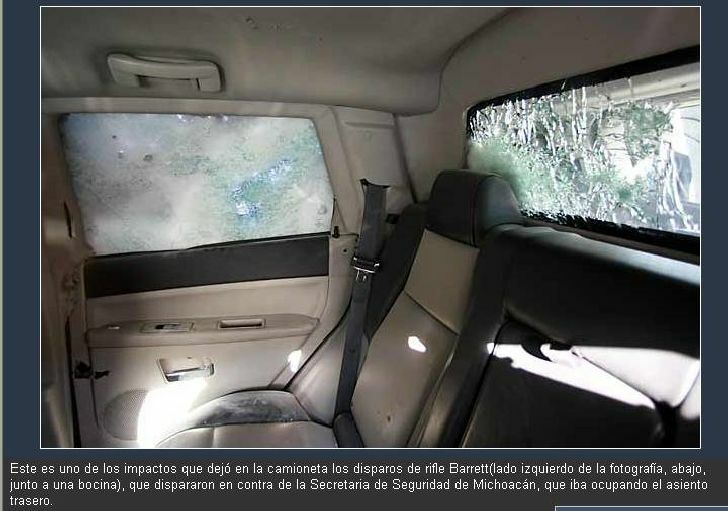 The office of the Secretaria de Seguridad is the equivalent of our State Department of Public Safety. 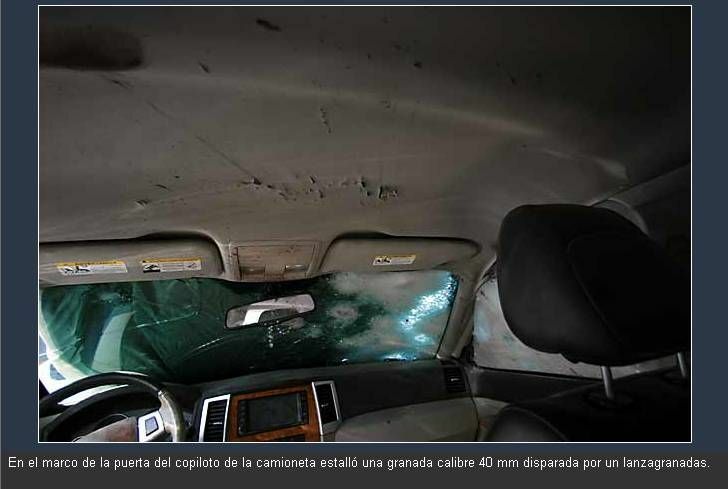 She survived the assassination attempt due to the level 5 armored vehicle she was traveling in. 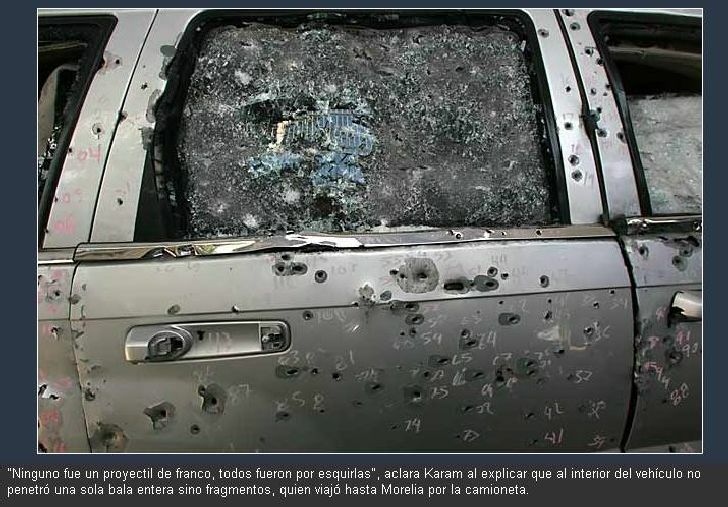 It received 350 impacts from AK-47, AR-15, 40mm RPG, and .50 Barret. 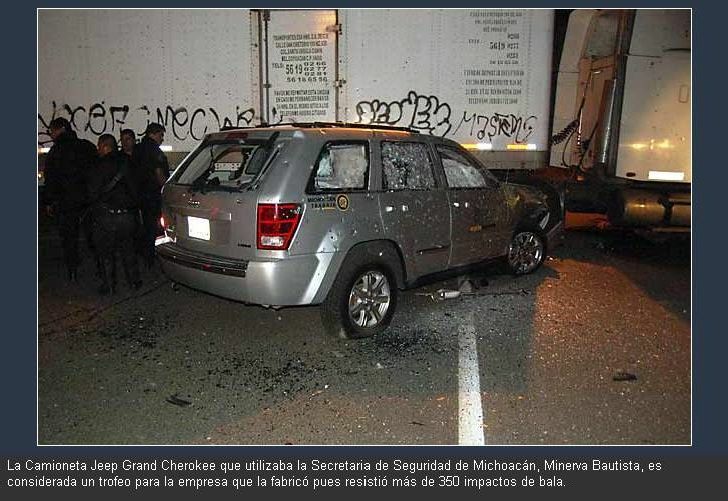 Doesn’t mention the name of the armored company that built the Jeep Cherokee, however government officials are praising how well the vehicle stood up during the attack. 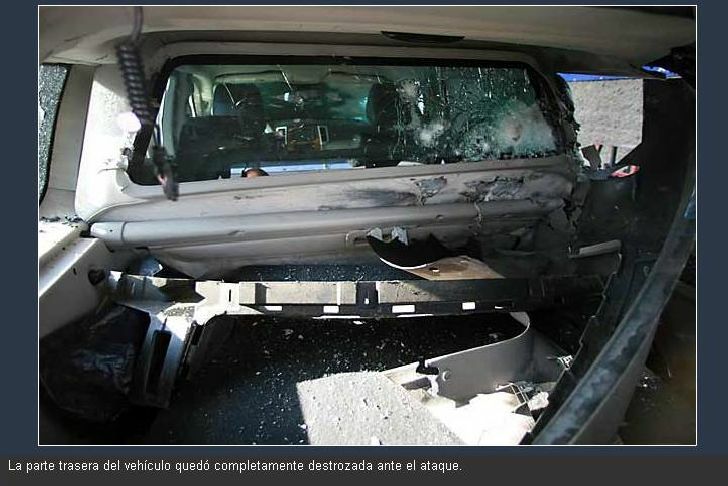 This Jeep will definitely need some body work and a new paint job, maybe some new windows?